This residence sits on a commanding hilltop above the city of Birmingham. The client wanted a house with tall rooms and large windows overlooking the city. The kitchen, dining room, and master bedroom all face spectacular views. The architecture is reminiscent of Mediterranean style houses perched on the hillsides of southern France and northern Italy. The house has clean stucco lines with large sections of wall left plain to serve as backdrops to garden planting. 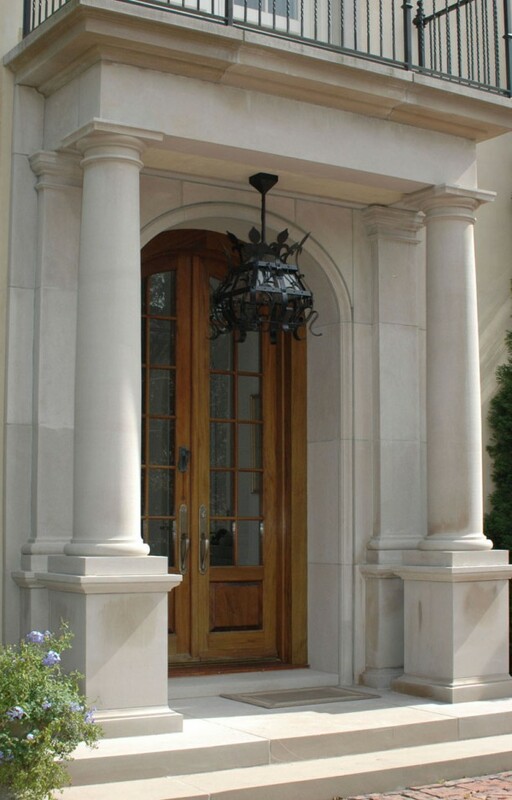 The mahogany doors and windows were fabricated in Canada and are set in Indiana limestone surrounds. The roof is French barrel tile with earth tone colors to accent the stucco walls. The parking court is paved with antique bricks set into a sand bed. The entrance gates, built of antique oak, were designed to open for automobiles but have a hidden door for people to pass through.